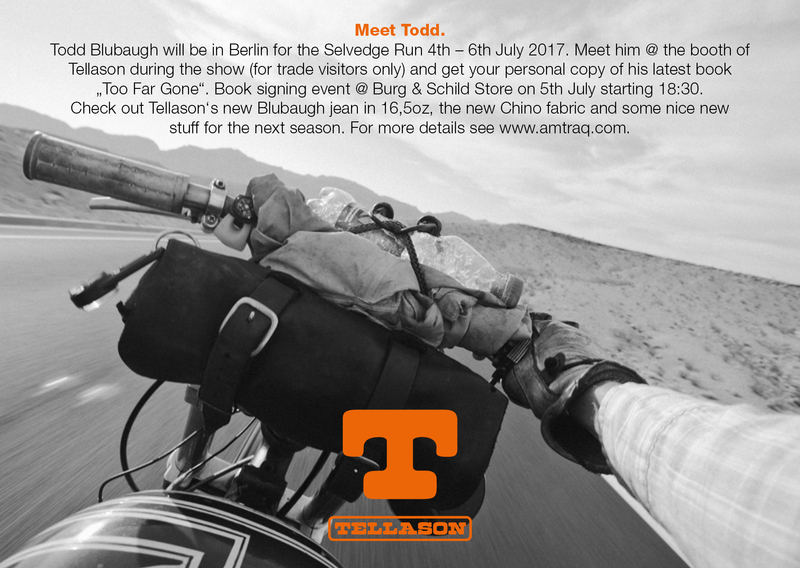 Meet Todd Blubaugh. Berlin 4.-6.July 2018. This entry was posted in News and tagged Amtraq, Amtraq Distribution., Berlin, Selvedge Run, Tellason, Tellasondenim, Todd Blubaugh, Too Far Gone by AMTRAQ. Bookmark the permalink.